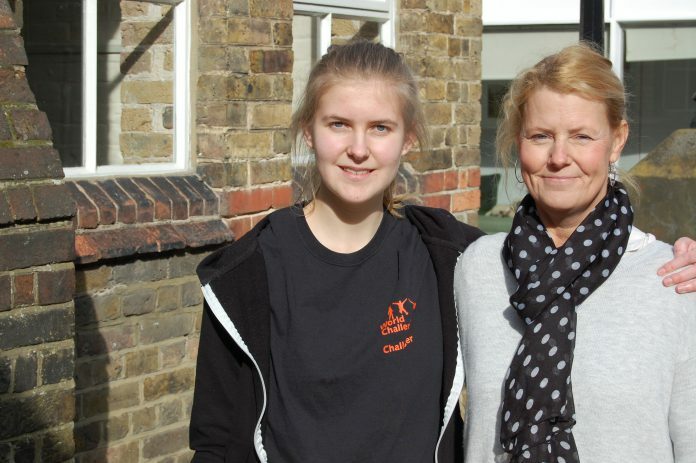 Anya Sadler, a 17 year old student at Homewood School, Tenterden, is to take part in a World Challenge expedition in July to northern Borneo, part of Malaysia. She will be going with 10 other students from her school, including two friends from Rye. The three week adventure will include trekking through rain forest in the first week, and staying with a host family in the second whilst engaging with a community project, for example helping in building a new school or installing a water-pipe. The final week will be spent in visiting tourist destinations in mainland Malaysia. She is hoping to visit Kuala Lumpur and Kochi, and also have the opportunity to participate in water sports, such as white-water rafting. Needing to raise £3800 towards the cost, Anya held a table top sale last Saturday at St Mary’s Centre in Lion Street. She has also taken a part-time job and will be running in the Hastings half marathon with her father on Sunday March 19. Seeking sponsorship, she has a justgiving page. and would be extremely grateful, she said, for any help towards her target. Anya is currently studying for her A levels in French, English Literature and Creative Writing and hopes to go on to university next year.